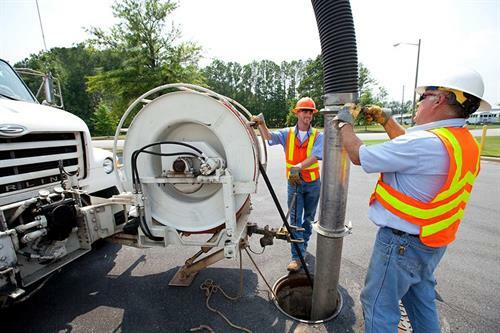 GUC provides electric, water, sewer and natural gas services to the City of Greenville and 75% of Pitt County. We serve a combined total of nearly 150,000 customer connections. Greenville Utilities is owned by the citizens of Greenville but operates under a separate charter issued by the N.C. General Assembly. We are governed by an eight-member Board of Commissioners. The Board is responsible for approving rates, development plans, the annual budget and setting operating and extension policies. Policies are implemented by the General Manager. The City Manager serves as a full voting member; five other Board members are nominated by the City Council, and two are nominated by the County Commissioners. All Board members are approved by the City Council. We are more than utility poles, pipes and meters. We’re your neighbors and we are dedicated to our mission of enhancing the quality of life for those we serve by providing safe, reliable utility services at the lowest reasonable cost, with exceptional customer service. Our highly-experienced Management Team is dedicated to working together to operate GUC in the best interest of our customers.